Could You Pass The NTEB Street Preaching Intelligence Test? Take the Street Preaching Intelligence Test! Are you spending any time out in the highways and byways trying to reach the lost? For years now, we have run the NTEB Street Preaching and Gospel Tract Outreach right in the heart of America’s oldest city in Saint Augustine, Florida. We have handed out nearly 250,000 tracts, preached for hundreds of hours, and seen many people get saved, prodigals comes home and have prayed with countless numbers on the street. 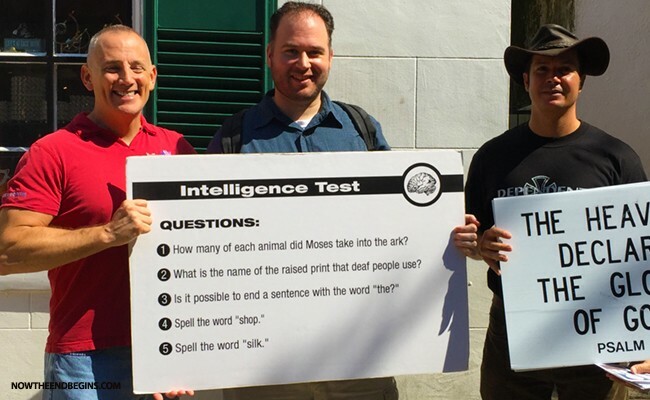 We use the King James Bible, hold scripture signs, pass out NTEB Gospel Tracts, and we also ask the nice folks to take an “intelligence test”. Take the NTEB Street Preaching Intelligence Test! A lot of lost people won’t stop to listen to gospel preaching, but nearly everyone wants to take the intelligence test. People love a challenge and they love to figure stuff out. How well would YOU do on this test? Why don’t you try to answer the first three questions just for fun right now and see how good you do. We will answer them a little later in this article. There are a lot of people who think that street preaching is getting a bullhorn, standing on a street corner, and telling people how wicked and rotten they are. They enjoy yelling at homosexuals, pronouncing curses on drunks and fornicators, and then demanding that people step right up and get saved. Fat chance. That is not street preaching, that is being what we would call a “bible bully”, and it is not scriptural. Not unless you never get out of the Old Testament. True Biblical street preaching is preaching the gospel of Jesus Christ found in 1 Corinthians 15:1-4, Ephesians 2:8,9, and John 3:16 for starters. True Biblical street preaching tries to engage the listener in conversation, and reason with them from the scriptures. The Bible says that it is the job of the Holy Spirit to convict people of their sins and lost condition, and we do that by preaching God’s preserved word. We are not the ones who should do the convicting, we do the preaching. We pass out gospel tracts so that they have something to refer to after they leave. NTEB gospel tracts are bright, 4-color, and printed on glossy postcard stock. On the back is a laser-focused gospel presentation and salvation invitation to the reader. We have personally handed out thousands and thousands of these tracts, and can testify that they are very well received. Click here to order your box now! How many of each animal did Moses take into the ark? None! Noah built the ark. What is the name of the print that deaf people use? Deaf people don’t use Braille. Is it possible to end a sentence with the word ‘the’? Yes, we just did. Spell the word ‘shop’ (then ask them what do you do at a red light). Most people will say ‘go’, the answer is ‘stop’. Spell the word ‘silk’ (then ask them what do cows drink). Most people will say ‘milk’, the answer is ‘water’. The Bible says “And as it is appointed unto men once to die, but after this the judgment:” (Hebrews 9:27). How will you do on Judgment Day? Let’s find out with a few more simple questions. Have you ever Lied? Have you ever stolen anything? Have you ever looked with lust on another person? Jesus said lust is the same as adultery (Matt 5:28). Have you ever had hatred in your heart? God sees hatred as murder of the heart (1 John 3:15). Have you ever used God’s name in vain (ex. oh my G-d or texted OMG)? That’s called blasphemy. If you broke these 5 of the 10 Commandments you’d be a lying, thieving, blasphemous, murdering, adulterer and you have to face a Holy God on Judgment Day. 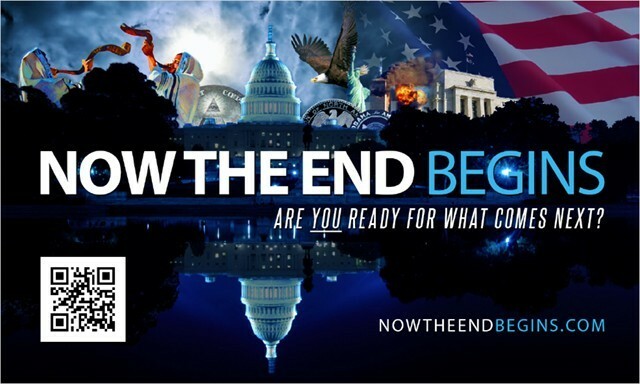 You’d be guilty and end up in hell for eternity (Rev 21:8). Put yourself in a courtroom, guilty of serious crimes. The fine; $500,000 or life in prison. You don’t have the money so you’re being led off to jail. Suddenly the Judge steps down from his stand and pays the fine. You’re free to go, not because you tried to do good things to make up for your crimes, but because the fine has been paid. That’s what God did for us 2,000 years ago. He became a man in Jesus Christ and lived a perfect life. He paid your fine for breaking God’s Law. The wrath that you deserve was poured out on Jesus upon the cross. He died, was put in a tomb & rose from the dead on the third day, proving that His sacrifice was sufficient. You can be forgiven! God commands that you trust in the righteousness of Jesus Christ and His shed blood on the cross alone to save you. (Ephesians 2:8,9, Acts 17:30-31, Romans 3:19-26). Click to order your box of NTEB Gospel Tracts today! For the past nearly 2,000 years Christian men and women have gone out into the streets and witnessed for the Lord Jesus Christ. The Bible commands us to do it with love, sincerity, and most of all by the preaching of the gospel of Jesus Christ. The Old Book still saves, and the Blood still has it’s amazing power to rescue to the lost and perishing. If we will follow Paul’s command to preach, and show them Jesus, the Holy Spirit will convict them of their sin and their lost condition.